I’ll be a first time participant in the Embedded Tech Trends (ETT) conference in New Orleans next week, where I’ll be presenting a paper on my experiences as a one-time customer to this industry. ETT is something we’ve supported for many, many years—it was once known as “Bus and Boards”—and it’s always been a good opportunity both to find out what everyone else in our industry is doing and, no less importantly, to tell our story to the many editors who will be there. The theme of this year’s ETT is “The voodoo behind critical and intelligent embedded systems.” As you can imagine: that really got me thinking. What exactly is the “magic” behind what we bring to our customers? After all, we operate in a market in which open, industry standard architectures are fundamental—so, in theory, there’s not much opportunity for magic there. Those open standards, in turn, rely on widely available commercial technologies. Superficially, those don’t lend themselves readily to the application of special dust either. But, in fact, there’s plenty of room for innovation—which is a kind of magic—in there. At Abaco, we think of open architectures not as constraints but as springboards. We pride ourselves on our excellence and imagination in product design, engineering and manufacture—and we must be doing a pretty good job, because market researcher IHS just named us as the world’s leading supplier of VITA architecture boards. The more I thought about it, though, the more I realised that the magic we uniquely bring isn’t just in our products. It runs far deeper than that. It starts, for example, with our ability—based on our in-depth knowledge and multi-decade experience—to advise our customers about what’s going on in the rugged embedded computing world. That’s the start of a true partnership, based on mutual trust and driven by the understanding that, if our customers don’t succeed, we don’t succeed either. I was reminded too of the magic that happens when we work engineer-to-engineer with our customers, working together to solve problems. Then, there’s the magic of helping those customers make the transition from initial concept through design through development and on into deployment. And then there’s the magic of seeing a program you helped deploy 20 or 30 years ago still going strong, thanks to the customer being able to take advantage of a well-defined technology insertion roadmap or the programs you’ve put in place to help that customer mitigate the impact of obsolescence. Innovative, great quality, high reliability products are essential—but they’re only part of the magic. Like all the best magic: the secret lies, not in what you can see—but in what you can’t see. Mrinal Iyengar is Abaco’s vice president, product management, with a brief to drive the creation of innovative, mission-ready systems that will minimize program risk, accelerate time to deployment and reduce long term cost of ownership. 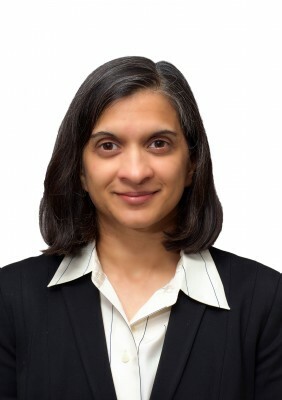 She joined Abaco last year from UTC Aerospace Systems (UTAS), one of the world’s largest suppliers of technologically advanced aerospace and defense products, where she was director, advanced systems.